Mexican artists Francisca Rivero-Lake and Carla Verea portray forgotten or hidden homes designed by renowned modernist architects. 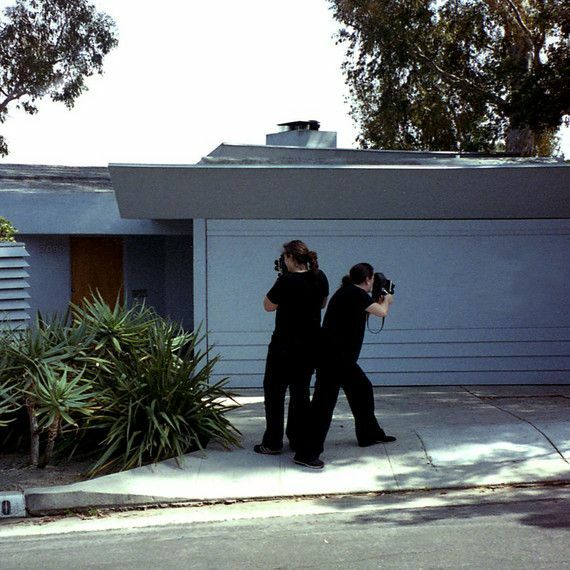 They approach these buildings like paparazzi -unannounced and spontaneous - with the aim of capturing them in an unembellished, completely private state. The photographs, taken during quick and restless journeys, portray buildings by exiled architects Walter Gropius and Marcel Breuer in Lincoln, Massachusetts, or by Richard Neutra and R.M. Schindler in Los Angeles. But the exhibition »Paparazza Moderna« not only documents architecture, for it also provides a lively yet poetic look at their builders' private lives.